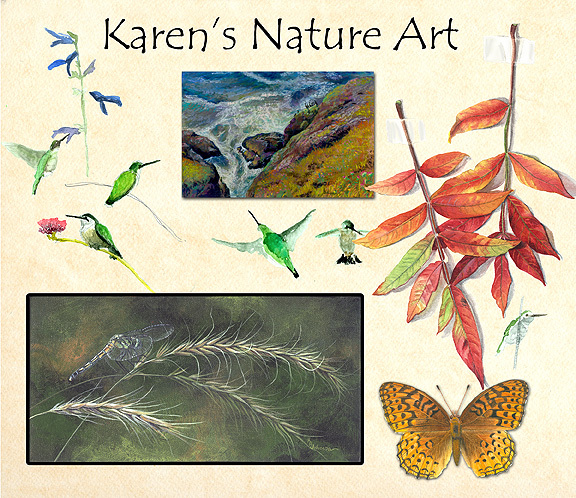 Welcome to Karen's Nature Art science illustration website. Karen is a freelance illustrator/fine artist who uses nature as her source of inspiration. She specializes in insect and botanical illustrations for individuals and businesses. Her realistic depictions of plants, animals and insects are done on a variety of backgrounds ranging from plain to abstract. She works in many different media including watercolor/gouache, acrylic, pastel, and scratchboard. Web LinksKarens Nature Art websiteKarens Nature Art blogMember DetailsKaren is a natural science illustrator who specializes in depicting insects and plants in various media, from watercolor and acrylic paintings to 3D polymer clay sculptures. She has a B.S. in entomology and a B.A. in biological/pre-medical illustration.